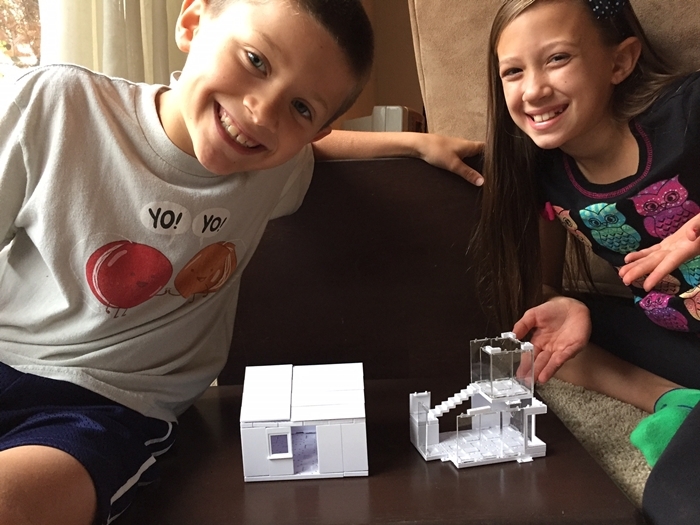 Kora and Logan have both loved building things from the time they were little. From blocks, to bricks, and even towers of school supplies constructing things brings out their creative side. Whatever they build they always end up somehow using it as part of an elaborate storyline. 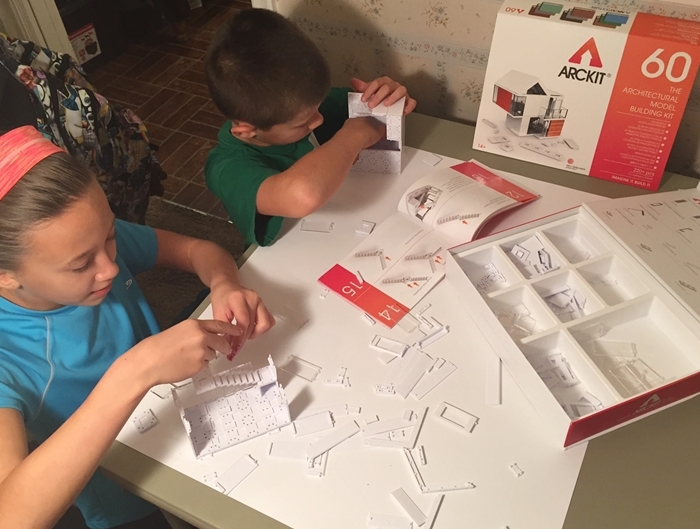 It’s so much fun seeing them use their imaginations and creativity that’s why I was excited to be sent for review ARCKIT. 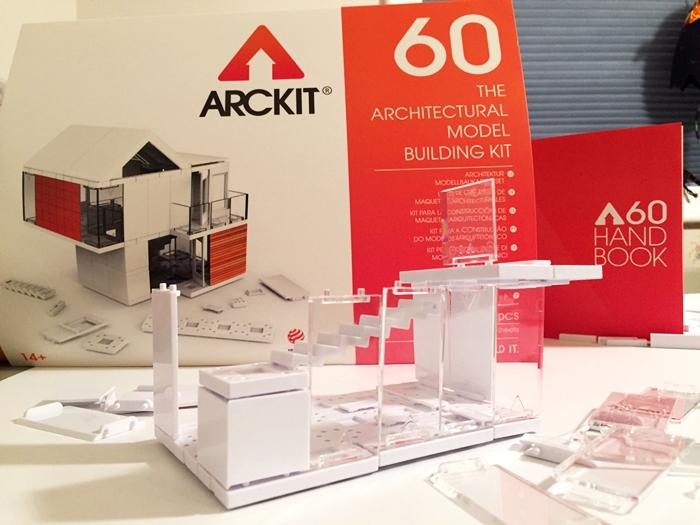 ARCKIT is a fantastic STEAM (science, technology, engineering, art, and math) tool that teaches kids about engineering while encouraging them to bring out their creative side. 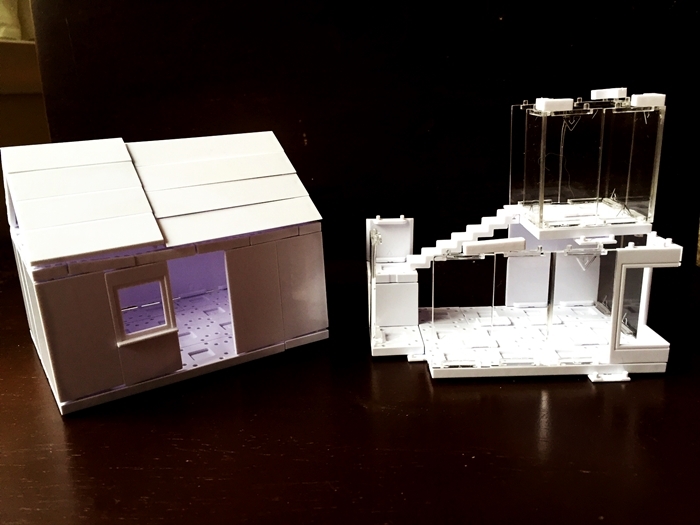 It is a scaled model building kit that was designed by professional architects with over 60 components that snap together without glue. 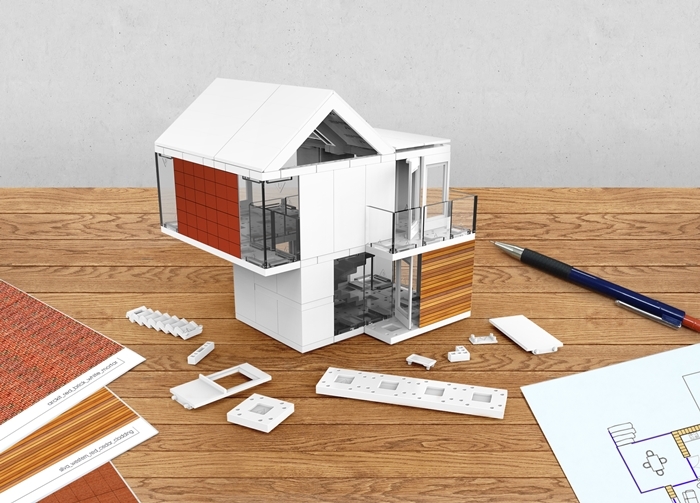 Kids can design their dream house, admire it, create an imaginary world around it, disassemble it in seconds and build something else entirely. 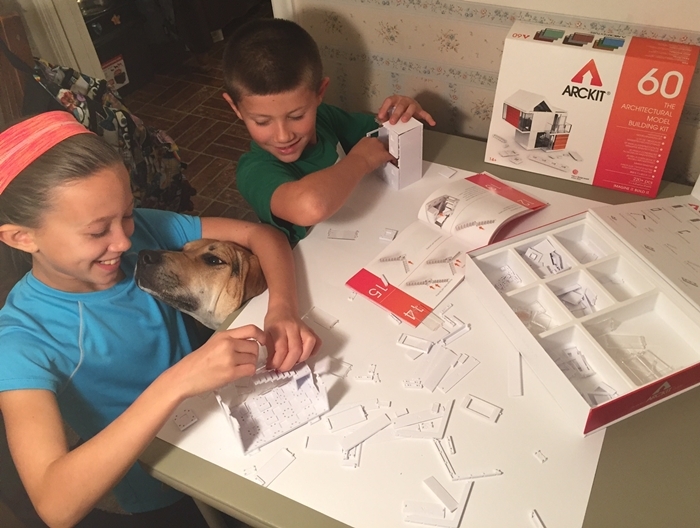 As soon as we opened the ARCKIT, Kora & Logan couldn’t wait to start building! 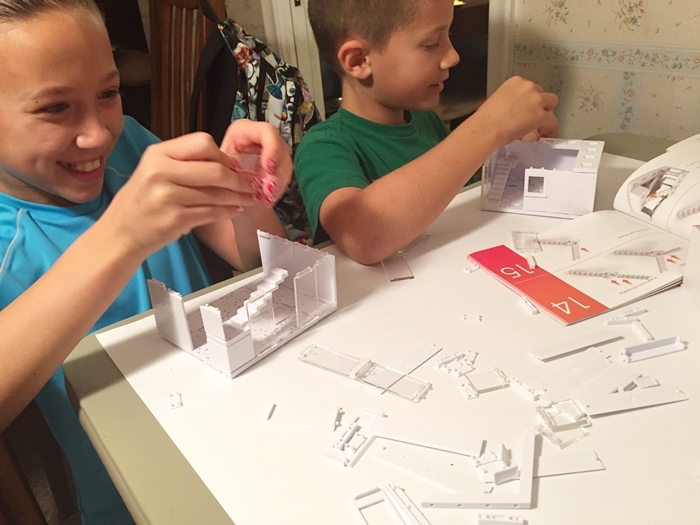 Ever since we open our ARCKIT, Kora and Logan have been hard at work creating houses and buildings together and on their own. 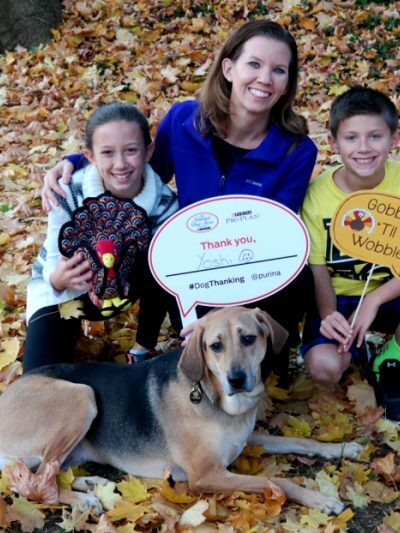 Sometimes even Yoshi likes to join in the fun! 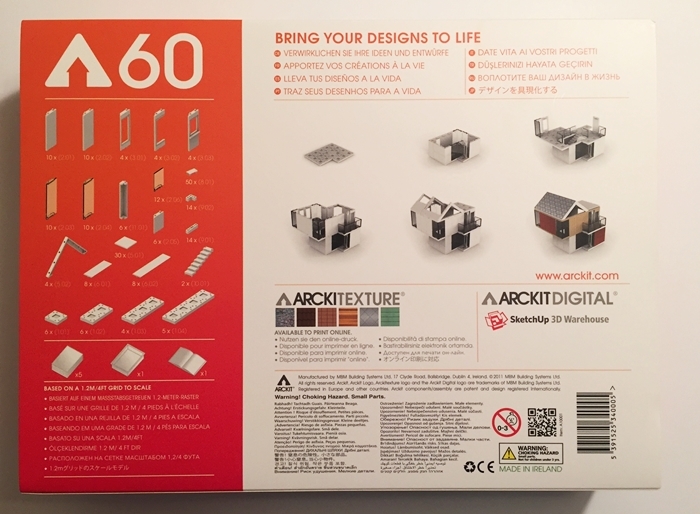 While ARCKIT is recommended for kids 14 and up, Kora is 9 and Logan is 8 and as you can see they both have been enjoying it and I can see them playing with this for years to come. 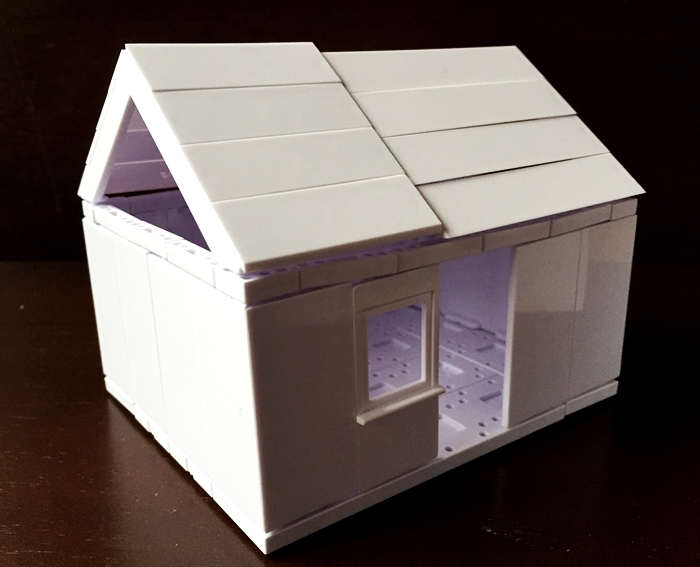 You can even take ARCKIT to another level by applying realistic looking finishes including: wood flooring, terracotta tiles, stone walls, and shingle aluminum. 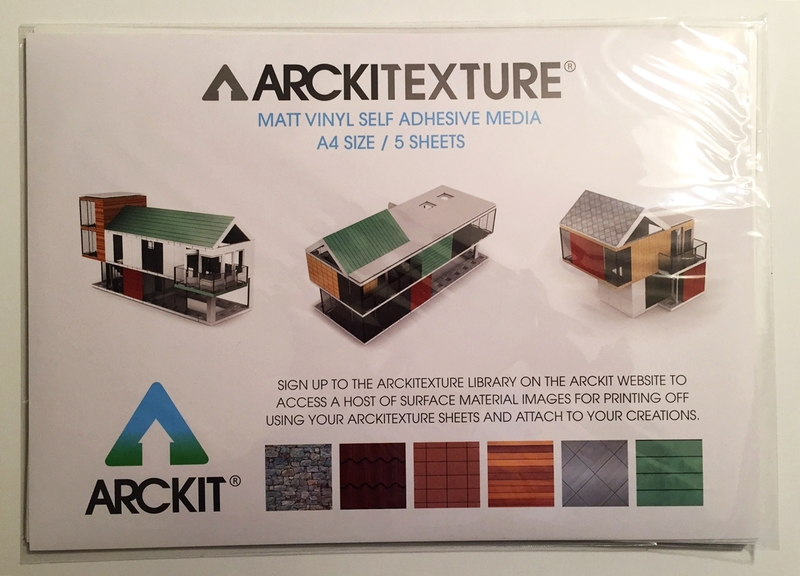 These finishes can be downloaded and printed form ARCKIT’s ARCKITEXURE digital library of surface textures and material patterns. 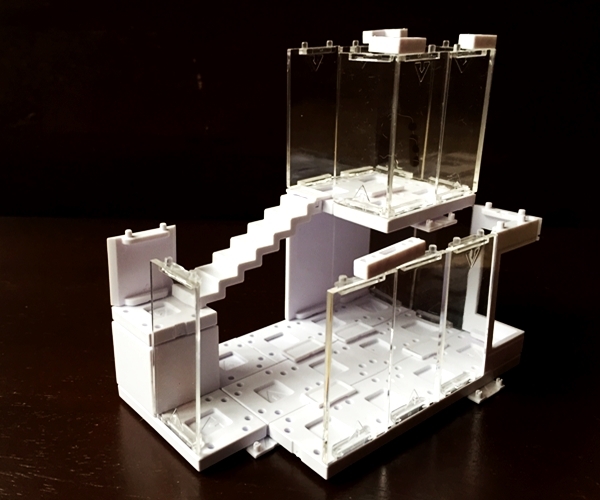 On top of that if you have access to a 3D printer, you can use SketchUp 3D modeling software to design and print your own original pieces to use. 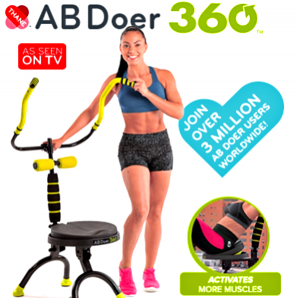 I was excited to learn that this is an add-on system which means the company will be continually launching new components, individual component packs, and online features. 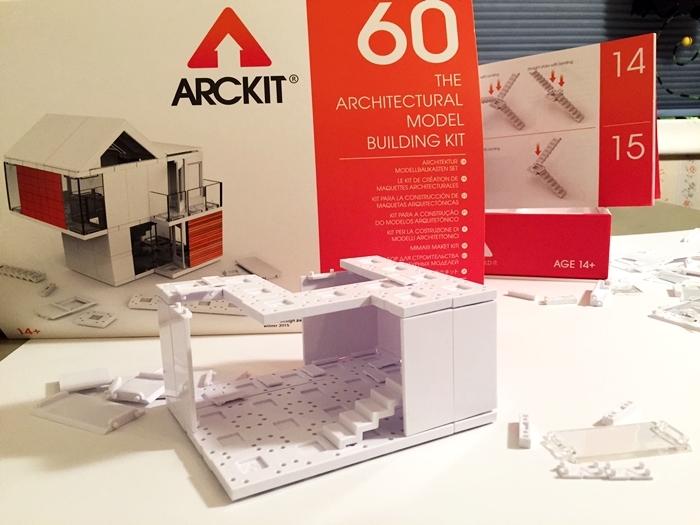 We have been having a lot of fun with ARCKIT and recommend it to anyone with a builder in their life. 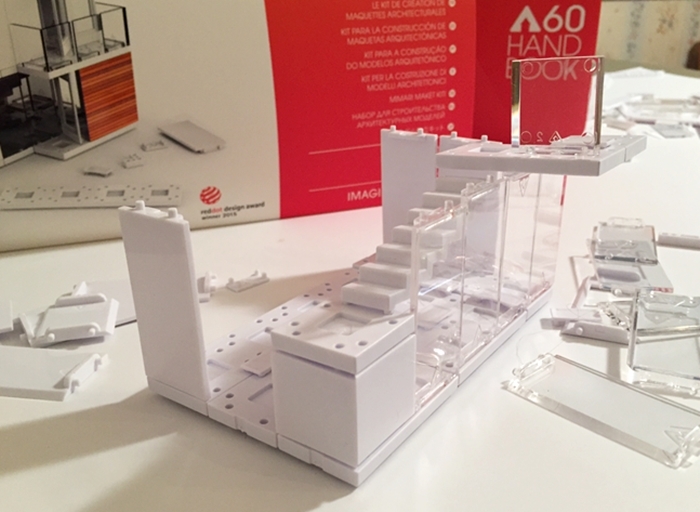 Whether it’s a child or an adult, it’s a fantastic way to build the models in your head with your own hands. 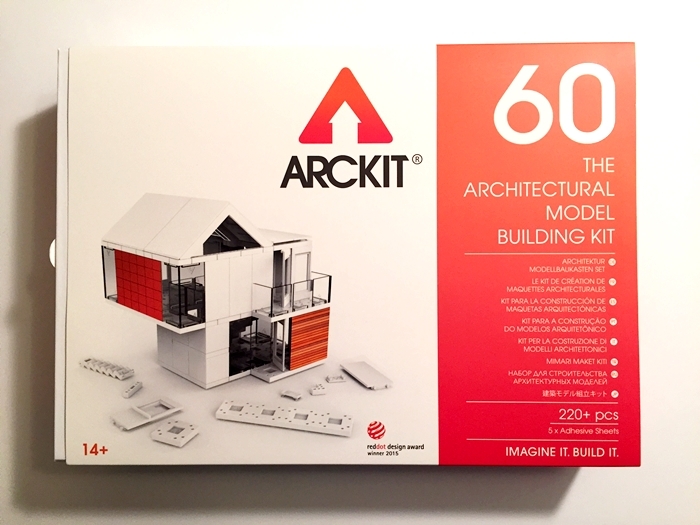 ARCKIT is available in 445 Barnes & Noble stores nationwide. Oh my goodness! 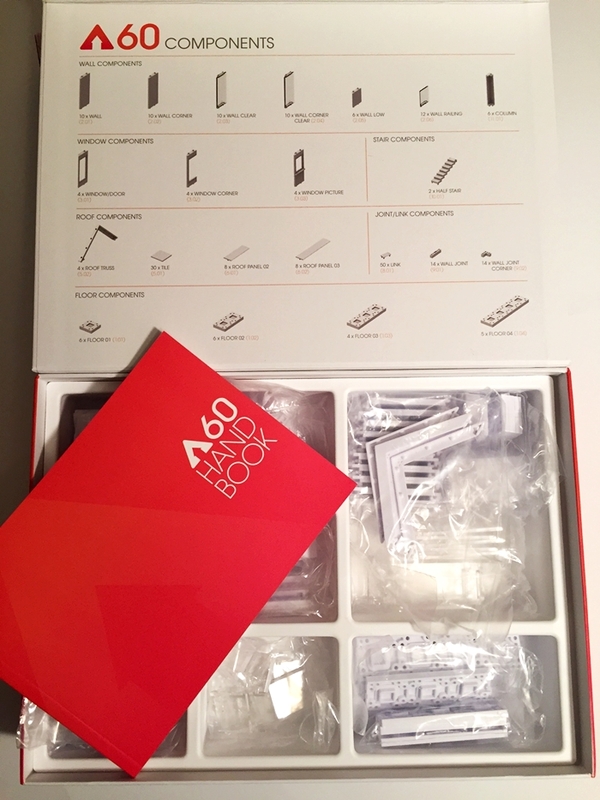 This is fantastic! 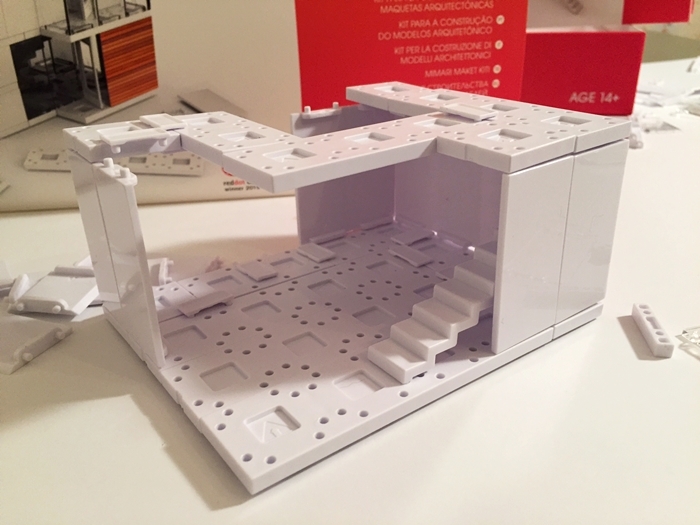 My nephew loves building things and would really enjoy this. It would keep him busy for hours. Nice! Thank you for sharing this. 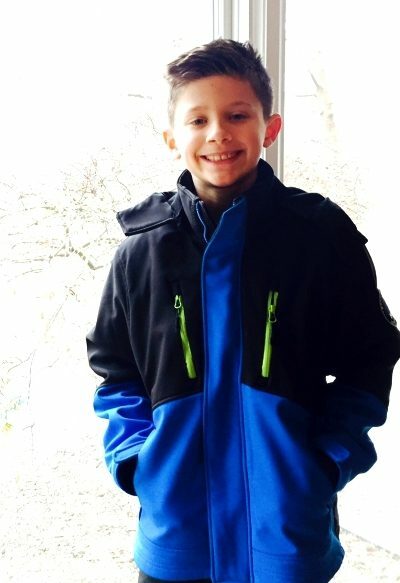 My grandson is a stickler for perfection and he finds his comfort in things that allow him to skillfully use his hands. He would love this! How cool is this. 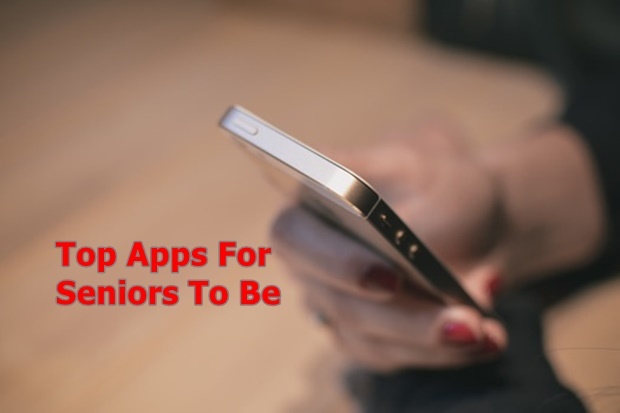 A couple of my older grandkids would enjoy something like this.